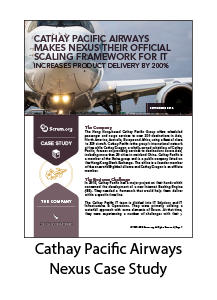 Why Scale Scrum with Nexus? 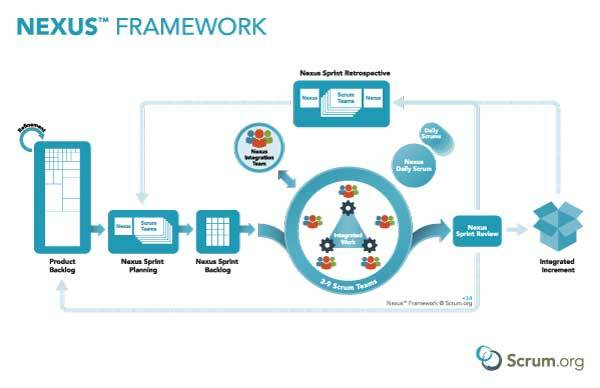 Scrum is a simple framework for delivering software products using an empirical approach in which teams deliver value in small increments, inspect the results, and adapt their approach as needed based on feedback. 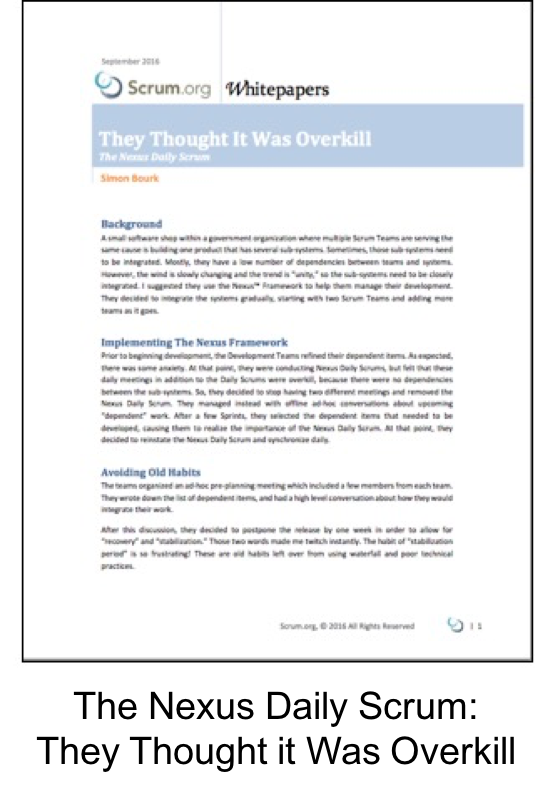 It consists of a small set of events, roles, and artifacts, bound together by practices, and enlivened by values that are the key to making it work. 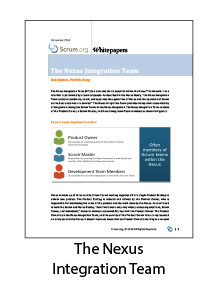 Nexus extends Scrum to guide multiple Scrum Teams on how they work together to deliver working software in every Sprint. 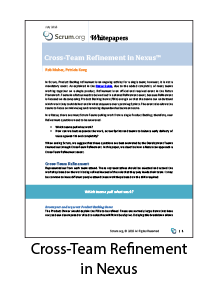 It shows the journey these teams take as they come together, how they share work between teams, and how they manage and minimize dependencies. 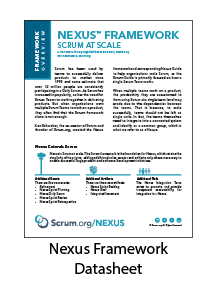 Nexus is based on the Scrum Framework and augments Scrum minimally. 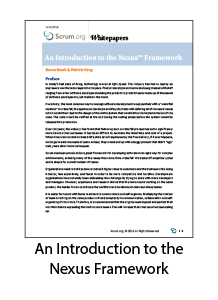 The Nexus Framework was created by Ken Schwaber, co-creator of Scrum, and was released by Scrum.org, along with a body of knowledge, the Nexus Guide, in 2015 and updated in 2018. 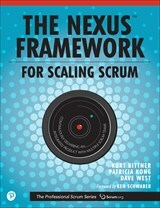 The Nexus Framework for Scaling Scrum is a concise book that shows how Nexus helps teams to deliver a complex, multi-platform, software-based product in short, frequent cycles, without sacrificing consistency or quality, and without adding unnecessary complexity or straying from Scrum’s core principles. 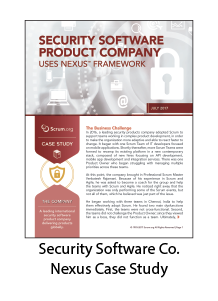 Using an extended case study, the authors illustrate how Nexus helps teams solve common scaling challenges like reducing cross-team dependencies, preserving team self-organization and transparency, and ensuring accountability. 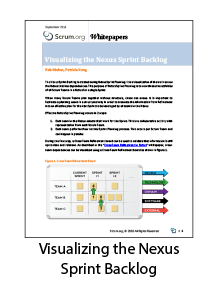 As with Scrum, Nexus alone isn’t enough for success, but it helps drive to the heart of the scaling issue – continually identifying and removing dependencies created by increased complexity. 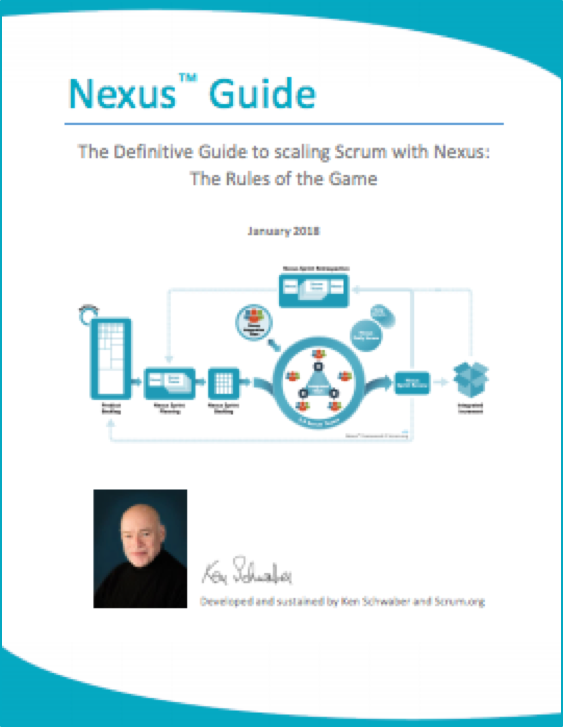 You will also need several techniques to bind the work of the Scrum Teams in your Nexus and that is why we have developed and reformulated over 50 practices to help you launch and sustain a Nexus predictably. 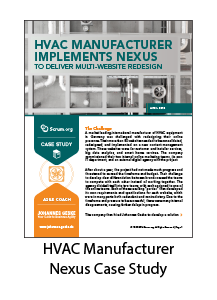 Find a list of suggested practices here. 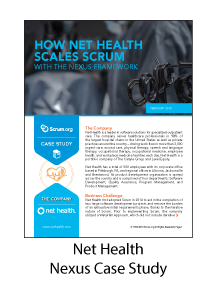 Listen to Ken Schwaber and his thoughts on "What is Scaled Scrum?" 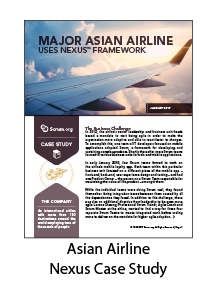 Learn more through our Scaled Professional Scrum workshops and take the free Nexus Open assessment and when you are ready, the Scaled Professional Scrum assessment for certification, where Nexus is the cornerstone. 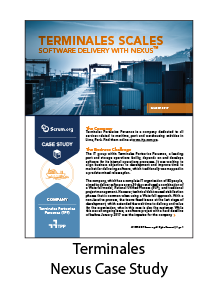 There are many resources including videos, blog articles and more related to Nexus. Go to the Resource Center and to find more.